After the candidate from the opposition Democratic Party Khaltmaagiin Battulga secured his victory in the July presidential election, Mongolia began actively solving its stagnant economic and social issues. On September 7, the Mongolian State Great Khural dismissed the Cabinet of Ministers led by ‎Jargaltulgyn Erdenebat for violating the country’s laws on key economic issues related to concessionary transactions, child benefits and shares of stocks in mining company. And now, after a two-day discussion at the parliament’s plenary session on October 20, the new composition of the Mongolian government was approved, which is now led by Ukhnaagiin Khürelsükh. As Speaker of Parliament Miyegombyn Enkhbold noted at the opening of the autumn parliament session on October 2, the new government of Mongolia will have to face serious problems with external and internal debt, whose volume reached 73.8% of GDP in August 2017. Therefore, some of the priority tasks of Mr. Khürelsükh’s government should be restoration of the national economy, development of the mining industry, which is very important for the country’s profit, sustenance of renewable energy use, development of healthcare and education, as well as attraction of foreign direct investment. 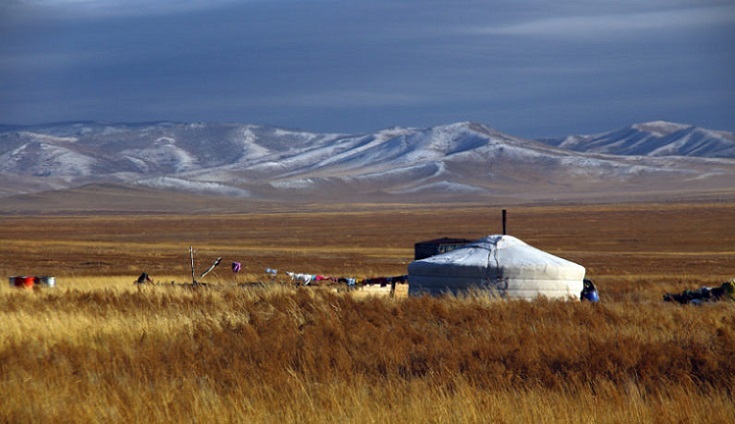 At this stage, Mongolia faces a number of serious social and economic challenges. For this reason, Mongolians expect the new government to raise wages, eradicate bureaucracy and balance the powers of government bodies. Given the economic policy of the previous government in recent years, many international experts believed that the growth of the Mongolian economy in 2017 would be questionable. According to the World Bank’s spring forecasts, the economy of Mongolia will stall in 2017; the government will restore its debt to a sustainable level, but its relative revival is expected to start in 2018. In 2018, Mongolia’s economic growth will reach 1.9 percent and then 8.0 percent in 2019. Given the country’s dependence on the export of mining products, the price of which is quite unpredictable, it was estimated that Mongolia’s GDP growth will also experience noticeable fluctuations in the near future. Though it possesses reserves of natural resources, Mongolia has no access to the sea, and taking into account the decreasing international mineral prices, the country is forced to carry out structural reforms in order to prevent a drop in foreign investments. The region is rich in deposits of tungsten, nickel, and gold. There are also large undeveloped deposits of coal and oil. Thriving livestock and cotton production make Mongolia a desirable strategic partner for neighboring countries. Therefore, it is not surprising that the leaders of the two largest powers of Eurasia, China and Russia, strongly urge Mongolia to form a closer geopolitical union with them and try in every possible way to interest it with mutually beneficial projects. As a WTO member, Mongolia has not achieved substantive trade turnover with the EU states since 2005 due to the fact that the global economic crisis and EU sanctions against Russia have reduced demand and supply because of excess of goods in Europe. These tendencies, as well as the steady GDP growth of the Member States of the Eurasian Economic Union (EAEU), made Mongolia decide to join the union. Mongolia confirmed its interest in signing a free trade agreement with the EAEU and it is now being actively developed. The framework of this document provides for the reduction of duties and introduces a single international accreditation system, which will save businessmen both time and money. The economy of Mongolia requires assistance from regional partners to restore the country’s GDP and revive its agriculture and industry. This region cannot be considered unprofitable, because it does not suffer any damage from external factors. The country’s economy is affected by the climate and the poorly developed transport network, as well as the country’s small population of about 3.2 million people. Today Ulaanbaatar is striving to rebuild its policy, combining new trends with traditional ones. This was reflected to a certain extent in the development and implementation of a ‘steppe route,’ which is based on an understanding of the ongoing Eurasian integration processes and the need for determining the country’s place in these processes. Thus, the active development of the mining industry and the increased export of mineral resources force Mongolia to improve the country’s transport and logistics infrastructure, which is at its fledgling stage and is dependent on the Chinese and Russian transport routes. This is why it is extremely important for the Mongolian administration to use Russian and Chinese assistance in its economic development. China and Russia are Mongolia’s first and second most important foreign trade partners (three quarters of all import comes from China and Russia). China is also one of the main investors into Mongolia’s economy. Thus, it is Russia and China, which serve as partners to Mongolia in its intentions to build the ‘steppe route’ and link its own project with the EAEU and the Chinese Silk Road Economic Belt. Realizing the importance of active participation in regional integration processes, Mongolia entered as an observer in the Shanghai Cooperation Organization (SCO). The main tasks of this organization are as follows: strengthening stability and security in a broad space that unites the SCO Member States; combating terrorism, separatism, extremism and drug trafficking; developing economic cooperation; energy partnership; scientific and cultural interaction. Founded as a full-fledged Eurasian integration force, today the SCO, unfortunately, exists solely as a Euro-Asian association, owing to Europe’s obsessional desire to divide and conquer, although today such a policy is far from relevant. Therefore, instead of the joint creation of a single body, two unions (the European and Asian military-political and economic structures) will continue existing and developing. Only at a later stage (if Europe manages to preserve its unity), the interaction and integration of these two autonomous structures will commence. Although Mongolia is still taking part in the work of the SCO as an observer, its authority in the organization is bound to grow in the near future. In any case, Mongolia can already freely assist the implementation of SCO projects and programs in the fields of security, energy, transport, agriculture and the regional anti-terrorist structure, all of which, naturally, pose interest to Mongolia. The integration policy pursued by Khürelsükh’s government regarding the EAEU and the SCO has already been positively received by foreign experts. For example, the Asian Development Bank (ADB) presented an updated version of the Asian Development Outlook 2017, which notes that Mongolia’s current economic growth is likely to continue as coal exports increase, the trust towards business structures continues to grow. According to the new ADB report, the continued commitment to macroeconomic stability, combined with a favorable external environment, should mean further restoration of the country. In its flagship economic publication in Asian Development Outlook 2017, ADB forecasts the possibility of Mongolian economic growth up to 4% in 2017 and 3% in 2018, instead of the previously estimated 2.5% and 2%, respectively. And, without doubt, the key to these positive transformations is Mongolia’s current desire to participate in regional and global integration processes, primarily with the EAEU and the SCO.